Your cultural itinerary includes sights like Shrine of Remembrance and Immigration Museum. Take a break from the city and head to Eastern Beach Reserve and Bells Beach. Go for a jaunt from Melbourne to Barwon Heads to see 13th Beach about 1h 25 min away. The adventure continues: admire the natural beauty at Royal Botanic Gardens, take in the spiritual surroundings of St. Patrick's Cathedral, examine the collection at Melbourne Museum, and tour the pleasant surroundings at Melbourne Zoo. To see where to stay, photos, other places to visit, and other tourist information, you can read our Melbourne itinerary planner. Bengaluru, India to Melbourne is an approximately 16.5-hour flight. You'll lose 4 hours traveling from Bengaluru to Melbourne due to the time zone difference. In March, Melbourne is little chillier than Bengaluru - with highs of 30°C and lows of 15°C. Wrap up your sightseeing on the 20th (Wed) early enough to travel to Brisbane. Discover out-of-the-way places like Kings Beach and Burleigh Head National Park. 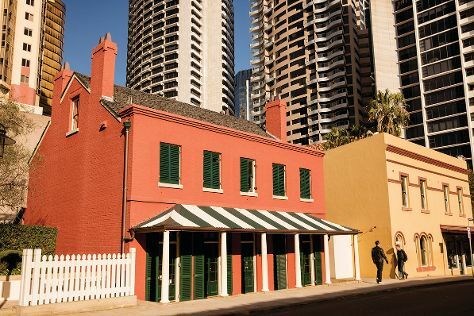 Satisfy your inner culture vulture at Queensland Museum & Sciencentre and Catholic Old St. Stephen's Church (chapel). 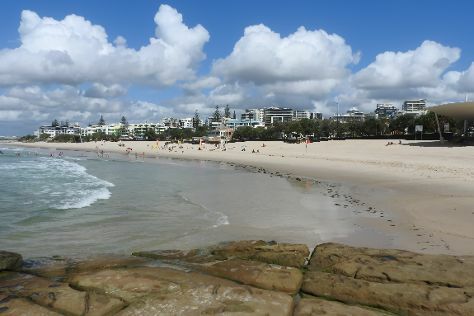 Explore the numerous day-trip ideas around Brisbane: Natural Bridge (in Springbrook), Kirra Beach (in Coolangatta) and Scuba & Snorkeling (in Mooloolaba). There's more to do: look for all kinds of wild species at Lone Pine Koala Sanctuary and admire the masterpieces at Queensland Art Gallery. For traveler tips, maps, photos, and tourist information, read Brisbane road trip site . Traveling by flight from Melbourne to Brisbane takes 4.5 hours. Alternatively, you can do a combination of flight and bus; or drive. Expect somewhat warmer evenings in Brisbane when traveling from Melbourne in March, with lows around 23°C. Finish up your sightseeing early on the 24th (Sun) so you can travel to Sydney. Escape the urban bustle at Manly Beach and Shelly Beach. Relax by the water at Bondi Beach and Clovelly. Next up on the itinerary: catch a live performance at Sydney Opera House, admire the natural beauty at The Royal Botanic Garden, take a stroll through Darling Harbour, and kick back and relax at Coogee Beach. To find ratings, where to stay, maps, and tourist information, go to the Sydney road trip planning website . Traveling by flight from Brisbane to Sydney takes 4 hours. Alternatively, you can do a combination of bus and flight; or drive. Expect a daytime high around 30°C in March, and nighttime lows around 22°C. Cap off your sightseeing on the 27th (Wed) early enough to travel back home. Albert Park is an inner suburb of Melbourne, Australia, 3 km south of Melbourne's central business district. Your day-by-day itinerary now includes F1 - Australian Grand Prix. Kick off your visit on the 28th (Thu): stroll through Safety Beach and then tour the pleasant surroundings at Portsea Back Beach. On your second day here, mix with locals at F1 - Australian Grand Prix, then take an in-depth tour of Jewish Holocaust Centre, and then enjoy the sand and surf at Brighton Beach. 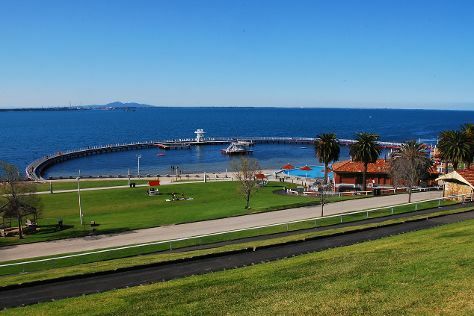 To find ratings, where to stay, photos, and other tourist information, use the Albert Park online sightseeing planner . The Route module can help you plan travel from Sydney to Albert Park. Expect slightly colder evenings in Albert Park when traveling from Sydney in March, with lows around 16°C. On the 30th (Sat), wrap the sightseeing up by early afternoon so you can travel back home.